I have always somewhat adored Patti Callahan Henry's books and the stunning cover of this one particularly spoke to me. Such a simple and classic design yet very beautiful. The main characters were Ella and Hunter, two people broken and trying to find their way after their respective lives were turned upside down. 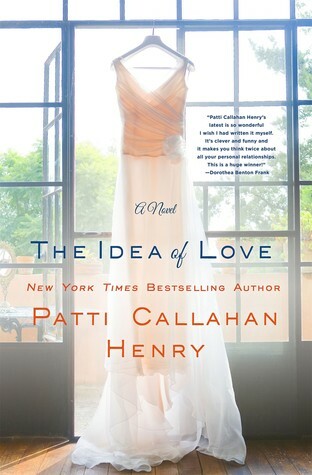 Ella's husband has recently died in a tragic accident but not all is what is seems with their relationship. As each detail is revealed it starts to make sense that you cannot always know the one you love. It also explains why Ella is acting as she is, in part. Hunter is also going through his own tumultuous tragedy of sorts. He has lost his ability to write and as a screenwriter, this is devastating. It makes sense to me that two people who area damaged and hurt can be drawn together. It was very interesting to see how they developed together. Compelling and with an interesting love story woven with lies. A strange premise at times. How does one fall in love with someone based on dishonesty? The absolute Southern charm radiated throughout this book though and it was an inspiring read full of the truth of life and what truly matters in the end. What really struck me was that despite all the painful and hard things that life can bring you, love can triumph.